Alright so 4 weeks have past so I can make a good assessment of how things are fairing in the EU and NA regions. Note that Europe has moved to a best of 2 format where 2 wins is three points, a tie is one point and losing 2 games nets zero points. North America has moved to a best of 3 format. This is probably to strengthen these regions for international tournaments and to prepare new players for playing and adapting in a series. In any case, it results in more games, more practice on stage which is overall good for viewers and the players. Fnatic is currently on top again. With the return of YellowStar, the team looks way better. It always felt that Yellow Star was the last piece of the puzzle for Fnatic last split. With 5/2/1 record, it looks like Fnatic will rise to the top once again. G2 Esports had a lot to prove this split. They finished 1st last split but finished last at MSI and quite honestly, did very poorly due to lack of preparation. It seems that hit them hard and they are playing seriously this split. With their new Top laner Expect, they seem to be doing well. I mean 4/4/0 means a bit more work versus some team but overall not bad. H2K seems to be the team getting by consistently. They have a new ADC in Freeze who seems to be doing alright at the moment. Has some definite ups and downs. FC Schalke 04 is a new team made of known players such as Steve, Fox, Gilius, MrRallez & sprattel. This team took over Elements’ spot in the EU LCS and have made good use of it. Even though they’re a newly formed team, they’re turning a few heads with their team work being near on par with the top 3 teams. We’ll see how they do. Splyce is making some steady progress as a team in the LCS. I thought that this was a team that could go somewhere given they get more experience and they’re slowly getting up there. Team Vitality have hit a bit of a wall going 1/5/2. They’re currently tied with a lot of teams, some that I think they should have beaten 2-0. Hopefully they can regain their footing as they did well last split and quite honestly should be performing a bit better. Giants is a team I don’t have hope for. It’s sad to say but the roster changes to the team didn’t help the team at all. Maybe the new blood need some time to adjust but there was only one glimpse where Giants look like they could step up. I’m not convinced we’ll see a silver of that again. At least not right now. Unicorns of Love has been disappointing fans for sure as of late. The team that came into the LCS is not as strong as it was. The team maybe suffering from team synergy or something of the sort because they’re 2/1/5 record doesn’t show that they have a strong bond. Origen has fallen into dire straits again. Sitting on 1/4/3 this team is not doing well. They are currently in 9th along with ROCCAT as the last teams in the league. It didn’t help that Forgiven left early in the split. Now it seems that the team is trying to find itself while xPeke takes on the ADC role. The fact that nearly every other team is doing better than them deems that there’s a problem other than the ADC role though. ROCCAT I can’t expect much from them anymore. When they first entered the LCS, I thought they0 could do well if they improved but the team has just been performing worst each split ever since. The roster was updated with Steelback (ADC), Parang (Top), and Raise (Support). So it seems that Team Solo Mid is back in a big way. Their new support Biofrost has been quite a boon. Biofrost consistently has good support stats in games TSM wins. TSM has been undefeated in the new best of 3 format (currently 8-0) dropping only 3 games versus C9, Immortals and Echo Fox. I would say TSM is solid in each role at this point in time. Sitting in second is Immortals. The roster hasn’t changed and quite honestly it didn’t need to. Immortals didn’t drop a game in the last regular season. They just played their game as it were instead of playing towards the meta. It seems now they have a better grasp of the meta in addition to playing how they like which nets them a current record of 7-1. Cloud 9 sits in third place with a 6-2 record. Last two seasons Cloud 9 have had troubles with their roster but it seems they fixed that before the split began. We have Impact in top lane instead of Balls, Meteos back in the jungle and Smoothie or Bunny Fufu as Support. A new LCS team, Team Envy, sits in 4th with a 5-3 record. They bought Renegades spot in the LCS and is kind of the team that can throw off the records for some teams. Sitting in 5th are Team Liquid and Apex. Liquid’s roster remains unchanged and they still remain a middle of the tier team although I do believe they have the potential to climb higher. Right now it may prove to be difficult given the strength of the top 3 teams alone. Apex is a team out of challenger and has the familiar faces of Xpecial, Apollo and Keane. I don’t think they’ll go to worlds this season but I think they can secure a spot for next season’s LCS. Surprisingly in 7th place is Counter Logic Gaming with a 3-5 record. After finishing 2nd at MSI, you’d think the team would come into the split with high expectations and results. Sadly this is not the case. The main roster remains unchanged but the team has won only against the lower ranked teams and Liquid. Something has gotta change for this team strat-wise and soon. NRG is the next team up with a 2-6 record. We have quite a few new yet old faces on this team. Top lane is Quas, Jungle is Santorin and Support is Kiwikid. Despite the roster swaps, NRG is still on a steady decline from last split. It seems that the group isn’t “together” enough to get better games. Echo Fox is currently 1-7. The roster hasn’t changed and I honestly expected a bit more out of the team. It looks like they still have a ways to go. Finally we have Phoenix1. From the ashes of Impulse but have not won a single game yet. I don’t expect much from the team sadly given Impulse’s decline for the past year or so. For EU I expect top 2 to be Fnatic, G2 Esports. 3rd will either be H2K or FC. For NA, I expect the current standings to more or less reflect the top half of the board. TSM and Immortals to take top 2 with Cloud 9 in 3rd. Envy may take third but I think Cloud 9 are going to pull another Summer split “going to worlds” move again. In one of the most interesting splits for NA and EU LCS we have quite a bit to talk about the finals. 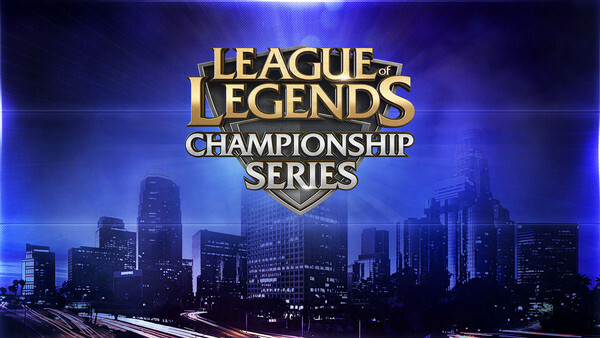 Let’s starts with the EU LCS then shift to NA. So the EU finals were between Fnatic and Origen. These two teams were pretty dominant in the split coming in and in the finals they put on quite a show. I think it’s save to say a majority of people were expecting Fnatic to win given their perfect split, dominant play and strength in each role being pretty much the top 2-3 in the EU LCS. It was up to Origen to step up and bring strategies that would help win games; and so they did. Early game was key in determining the pace of the game and pretty much who’d win overall. If Origen could punish early well enough, they went into mid game strong enough to take the game. If they didn’t punish enough, Fnatic were able to pull the game back into their favor or even run with their lead for the win. Also, early game is was “Gank Top Lane” pretty much all 5 games. Origen was doing well getting Soaz ahead most of the time. However, It seemed Fnatic evolved with each game and somehow pulled through the early game, even if they weren’t ahead. Overall both teams put on a good performance. In the end, Fnatic took it 3-2. Some individual misplays happened with both teams; Fnatic at least will need to fix them going into Worlds. This was one series that was quite frankly disappointing to watch. CLG won with a surprising 3-0 sweep. It wasn’t disappointing in terms of TSM losing but more in terms of TSM not even putting up a good fight. The first game is when a surprise Yasuo pick top for ZionSpartan came out vs Dyrus’s Gnar. And it crushed hard. So much that in team fights Zion melted everything. Doublelift was doing work on Tristana takiing out turrets rather quickly. The second game Zion was on Gnar and he survived numerous ganks and even turned ganks into kills for the team. This lead to great kills for Doublelift and even a pentakill. The third game Zion got Gnar again and did great. The other members of CLG played well too. Aphromoo made some great engages on Braum, Pobelter was melting health bars on Viktor. Even Xsmithie had great games on Gragas and Ekko. TSM’s best performers was honestly Wildturtle and Santorin. Bjergsen played well too but couldn’t do much on Yasuo. Dyrus was either a meat shield or couldn’t do much due to getting out farmed or out harassed. Lustboy, in my opinion, played the worse. He couldn’t play Alistar well at all and had a rather lackluster Janna in game 1. The issues were that the picks and bans TSM had in games 2 and 3 were plain bad. They didn’t punish Xsmithe’s current pool of Gragas and Ekko, they didn’t take Viktor for themselves, they made comps with no reliable wave clear. Most of all, they focused ganks top too much and couldn’t secure kills; most of the time the person getting ganked on CLG got away. Fnatic losing a few games before going to Worlds is good for them. It will help them work on the weaknesses they showed, mainly their early game, so that they can have a good run at Worlds. Origen should get 2nd seed since the played really well and are the only team to take games off this split’s dominate Fnatic team. In a way, CLG winning is good for both teams. CLG because it’s a great motivational boost to beat TSM in such a fashion; securing your spot at Worlds. For TSM, it’s a big wake up call. They’re putting in the work but something went wrong in planning and in champion picks. They’re not going to take this lost lightly in the slightest and will be working their butts off for Worlds. So a big congrats to Fnatic who went 18-0 in the season. I think most of the games went as expected but a big upset was the first game between Copenhagen Wolves and ROCCAT where the Wolves won it out. Not much else to say as the standings pretty much played out as expected. Well it was interesting to see who would grab the first spot heading into playoffs and it looks like Team Liquid came out on top. Liquid played a hell of a game versus Team Impulse in order to go into a tiebreaker between themselves and CLG. TDK surprised a lot of people going 2-0 beating Cloud 9 and Gravity. It’s a real shame they finished last; I feel they could have done way better if they had their full roster from the start. Cloud 9 is another team that could have done better. They stay in the LCS with their 7th spot finish but could have done better if Meteos was swapped out earlier. Gravity sadly lost their 2 games giving up a chance to stay first. So seeing the bracket play out, it’s Unicorns vs ROCCAT and H2K vs Giants Gaming for Semi-finals. I’d say Unicorns and H2K will win their respective best of 5. If so, then Fnatic would play Unicorns and H2K would play Origen. I’d give it to Fnatic and Origen. Finally, I’d give the finals to Fnatic. This bracket is very interesting. There’s Team Impulse vs Team Dignitas which I think Impulse can take. Then there’s Gravity versus TSM. I honestly have no idea who’ll win this. If TSM can get past the random picks Gravity pulls out then they’ll win. Next up is Team Liquid vs TSM/Gravity and Team Impulse vs CLG. I don’t know who’ll win here either. Not knowing actually makes it way more interesting to watch the games and see how it all pans out. Fnatic went 2-0 in the week; though they had a bit of trouble with Giants Gaming. In fact, Fnatic actually looked like they could lose the match to Giants. Giants looks really good right now and are definite contenders for a playoff spot. ROCCAT looks a lot better an could make playoffs as well. In an interesting turn on events, Origen actually went 1-1 losing a game versus Unicorns of Love. A much needed win for the squad as they aren’t performing well in these best of one games as of late. Now, I put Gambit out of the race for playoffs but they’re sitting in 5th with ROCCAT and Unicorns. They might be able to scrap by. Possibly Elements too. SK Gaming I can’t see a massive comeback. The new Copenhagen Wolves line up isn’t working right now which was highly expected due to the team not doing well in the first place. Man, NA is special this split. Let’s start with CLG. Once again, they are on a downward spiral in the 2nd half of a split. I really have no idea why this happens pretty much every time. Nerves? Too much thoughts of “this is 2nd half of split, I gotta do well”? I really don’t know. I even see misplays that could have resulted in kills or straight up giving a free kill. They just need to chill, play their game like in the first half and it’ll be fine. TSM went 1-1 losing to Gravity who went 2-0 and made them tie with TSM for first place. Might be weird for the team given they’ve started swapping WildTurtle & Keith every now and then. Cloud 9 went 0-2 but looked way better then previous weeks with Hai as the jungler. TDK went 0-2 but again, looked better than previous weeks. Imagine if these team had these rosters earlier, the split could be very different. Those are the significant things in NA as the rest of the teams won and lost games as a majority of people though the games would turn out. In EU, Origen games will be good. They’ll be playing versus Giants and Fnatic. H2K vs Fnatic will be good as well. In NA, TSM vs Team Liquid is the game to look out for especially wondering which ADC TSM will go with for this game. To start this off, I’m going to talk about teams on a downward spiral. Copenhagen Wolves and Gambit Gaming. The Wolves swapped their roster around a bit. With new faces coming in, they would pretty much have to win at least half their games to get into playoffs and I don’t see that happening. Next is Gambit Gaming. The miracle surge of last split I feel won’t come in this time around. Like I said last post, Diamond and Gosu need to put on their carry pants like the rest of the team but Diamond has not been performing well. I don’t see Gambit making it to playoffs. Now let’s talk surprising teams. ROCCAT was able to go 2-0 winning against the Wolves and surprisingly the Unicorns of Love. The Unicorns surprisingly went 0-2 against Giants Gaming and ROCCAT. Another surprise was that H2K lost to SK Gaming. SK wasn’t looking as strong this split but H2K got pretty handled in that match. Now let’s talk sleepers. Elements went 2-0 but against mid tier teams it’s hard to say if they’re improving. Giants Gaming, it’s hard to say where they stand. They’re definitely better and might make it to playoffs but it’s hard to see if they’ll get beyond that. Naturally, Origen and Fnatic did well and went 2-0. Again, let’s talk downward spiral teams. Starting with Cloud 9. If it wasn’t apparent how the team would do without Hai, it is this split. I haven’t seen a team so demoralized before. They’re definitely not making playoffs this time around and if they do, I fear it wouldn’t be a good series for them. Team 8 and Enemy Esports to me just don’t look like teams that can bring a challenge to the upper half of the board. Dignitas I wouldn’t fit in here but I still feel that if they can’t punish, they can’t win. Team Impulse I wouldn’t fit in here either; rather they feel like a mid tier team that are finding their style. Surprising teams this week starts with CLG. Xsmithie was not a presence to worry about and even gave up first blood in both games due to very poor decisions. There were also some bad decisions made by CLG as a whole (Fenix Quadra Kill when 4 half health CLG members tried to dive Fenix as Azir, under Azir turret, with all spells up). Sleepers are Team Dragon Knights. They finally have their full roster and got a win last week against Dignitas. I need to see more games but if they keep up the hard work, they may have a chance for playoffs. It’ll be really close though. Gravity is a team doing well but keeping under the radar going 2-0 against Team Impulse and Team Liquid. Naturally, TSM went 2-0 but will be using Keith instead of WildTurtle in Saturday’s game next week. In EU, we’ll see if Fnatic can keep up their win streak vs Giants Gaming and Copenhagen Wolves. Unicorns of Love have tough games vs Origen and H2K so we’ll see how those shape out. In NA, I want to see what TDK can do and see if C9 can get some wins. I also want to see if CLG are doing their usual lose a bunch a games in the 2nd half of the split like what happened last split.